I'm really hoping that, at some point, this or it's Lesser companion wil be creatable via the Cooking skill. 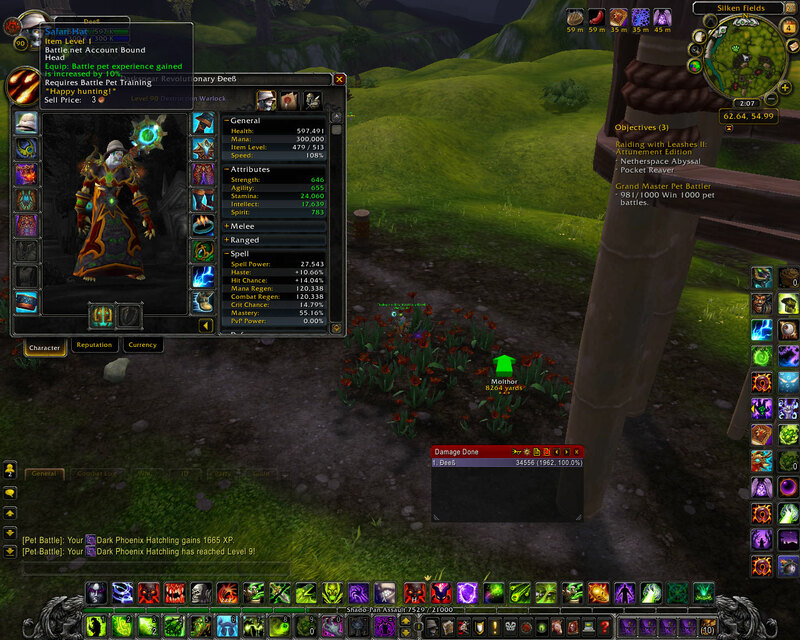 Looted one from the new weekly PvP pet battle bag, Brawler's Pet Supplies. Applies a hour long pet xp to the player not the pet. Therefore you can level more than one pet with each treat. Now persist through death. In case anybody is wondering, it stacks with Lesser Pet Treat. Can someone please tell me where to get these or even the lesser treats? A good strategy is to save all the pet trainers til you plan on logging for the day. Use the treat on them. Then, log in the next day after the dailies reset and take on all the pet trainers again while you still have the buff. If you have more than one to use, DO NOT "refresh" the buff, you need to right click it off or the duration will not renew. Wasted a treat when I tried using one with a previous buff on with 2 minute duration. Is this buff (and the other one) checked for the final experience calculation AT THE START of the pet battle or AT THE END? If I have both buffs on when I start a fight, and the buff duration ends mid fight. Do I get the buffed exp or unbuff when the fight completes? This is a great help during the Warlords of Draenor pet battle bonus weekend. Pets level up to 25 in about 5-6 battles. Anyone else unable to click this during the pet bonus event? I just get the cursor hand glow like it wants me to cast on something else. This is with myself targeted or not. Hovering that glowing hand over a pet though seems like it would cast on them. So you target this item on a battle pet, but the buff applies to you. Don't worry, it's a little weird that you have to target a pet, but it's not restricted to just that pet after it's cast. As a bit of trivia, you do not have to target your own pet when using treats. Targeting any pet will add the buff to you. Might save you a couple second going into the collections screen and summoning one. I used to use these during the bonus pet event, while fighting Squirt in the Garrison. That's the only time I still level pets at this point. However, I've found that with just the Safari Hat buff, my carry pets get to level 17 on the first fight and then 25 on the second. Even fully buffed, I can't seem to get them to 25 in ONE fight, so you have to fight twice whether you're using the pet treats or not, so during the bonus event, you REALLY don't want to waste these. I'm doing this today, so this information is still accurate on April 29th, 2018. BTW, I'm using the Enchanted Broom / any level 1 pet / Boneshard method. It's faster than any of the other 100 percent reliable methods. I haven't seen it fail once in like 900 battles. Use: Battle pet experience gained is increased by 50% for 1 hour. "Twice the ingredients of the leading alternative."